Employees are often placed on a suspension from their workplace, whether paid or unpaid, and are unaware of their rights during this time frame. Is the employer allowed to do this? Should I be getting paid? Is this even a good reason to be suspended? During this confusing time, it is best to consult with an employment lawyer to learn your rights. This blog post will cover some of the common principles of suspensions from the workplace. There are primarily two reasons for which an employer may want to suspend an employee, 1) for administrative reasons such as investigating a workplace incident, and 2) as a disciplinary measure against the employee. 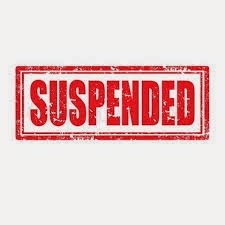 Administrative suspensions are when an employer decides to suspend and employee while investigating a workplace incident, for example, when allegations of misconduct are brought forth against the employee, or when a criminal proceeding is ongoing against an employee. During an administrative suspension, the employer must follow particular rules with respect to how the suspension is executed. The employer cannot place an employee on administrative suspension without pay if the employee is available and willing to work. This means that so long as the employee is at home, awaiting the results of any potential investigation or proceeding, their employee must continue to pay them during this time. The employee can waive their right to be paid on an administrative suspension if they have contractually agreed to this term upon their hire pursuant to an employment contract indicating as such. 4.Other than in exceptional circumstances, the suspension must be paid. If you are placed on an unpaid suspension for administrative reasons where your employer is refusing to pay you, you are able to refuse the suspension and this would not be construed as a resignation but rather a constructive dismissal. Disciplinary suspensions result when an employee has committed misconduct and as a form of punishment, if there is just cause to do so. Again, this form of suspension can only be unpaid if there is an express term in the employment agreement that the employee signed allowing for the measure to be taken unpaid. The disciplinary suspension cannot go so far as to sever the employment relationship, otherwise the employee may have a claim for constructive dismissal. In general, suspending an employee is permissible if all express and implied terms in the employment relationship are followed satisfactorily. It is important to expressly allow for an unpaid suspension in an employment contract or policy should an employer wish to exercise this tool instead of terminating the employee and the suspension must be in the interest of the business. Additionally, Courts often look at whether the employee had the opportunity to challenge the suspension before someone who is not the manager or supervisor who imposed the suspension in the first place, such as a senior manager or executive. Failing to allow for this may render the suspension a constructive dismissal, wherein the employee may claim for notice for the termination of their employment and the potential for any unpaid wages during the suspension period. A clear and well drafted employment agreement or workplace policies and handbooks regarding suspensions will provide both the employer and employee with information on their rights should the issue ever arise. If you are unsure of your rights regarding a suspension from the workplace, contact Monkhouse Law today for a free 30 minute phone consultation!